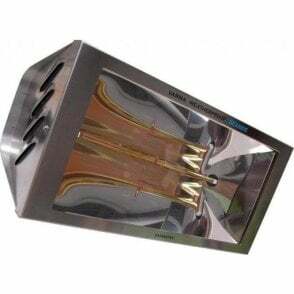 • Gold quartz halogen element for neutral light output. 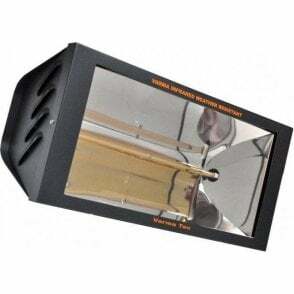 • Optically designed parabolic reflector for maximum heat output. 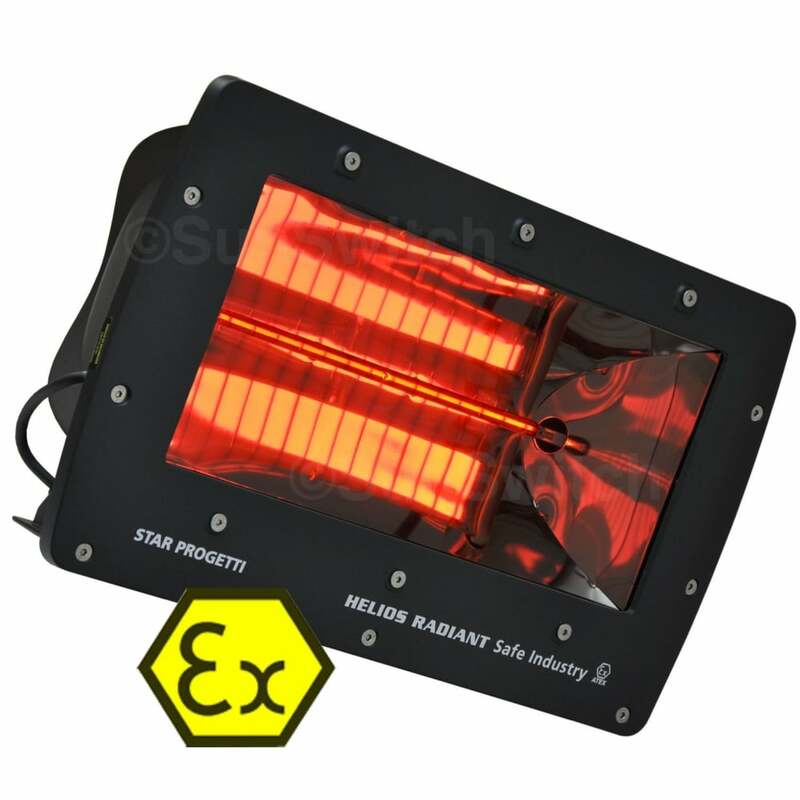 This is the latest version of the ATEX certified shortwave infrared heater developed by Star Progetti (patent pending) designed to deliver usable warmth in areas where potentially explosive gases may be present (Zones 2-22). 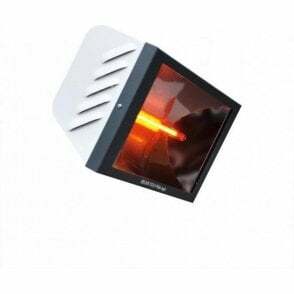 Compared with other types of ATEX compliant heaters, EHSAFE20AL provides a very high heat output coupled with very low purchase price and running costs. 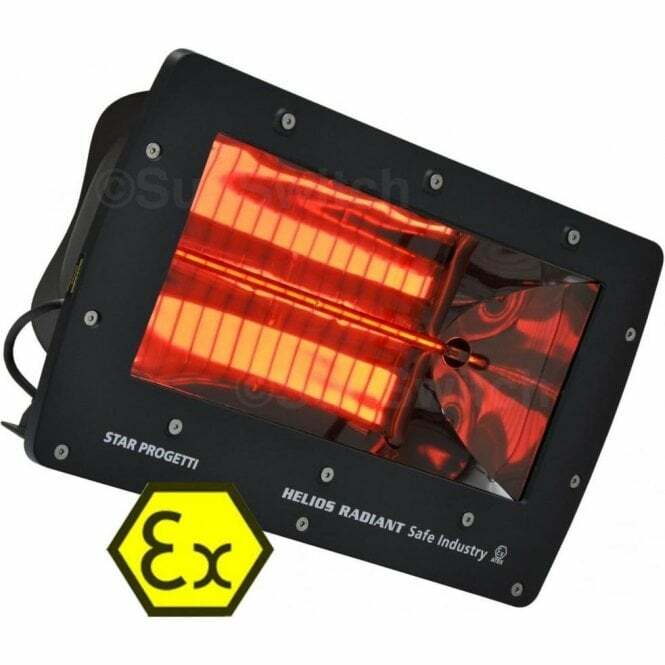 Other ATEX-approved heaters work by warming the air whereas this heater delivers shortwave infrared, making it ideal for spot heating cold, damp and draughty workplaces. 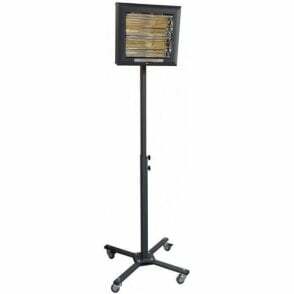 It is particularly suited to ATEX areas where high ventilation rates are needed to extract fumes and/or hazardous dust particles - areas where attempting to warm people by warming the air would be impractical. 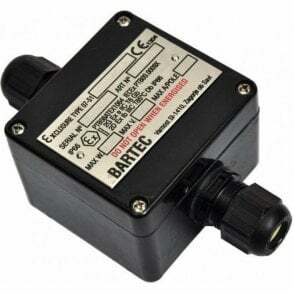 EHSAFE20AL is both dust tight and impervious to strong direct water jets (IP66). 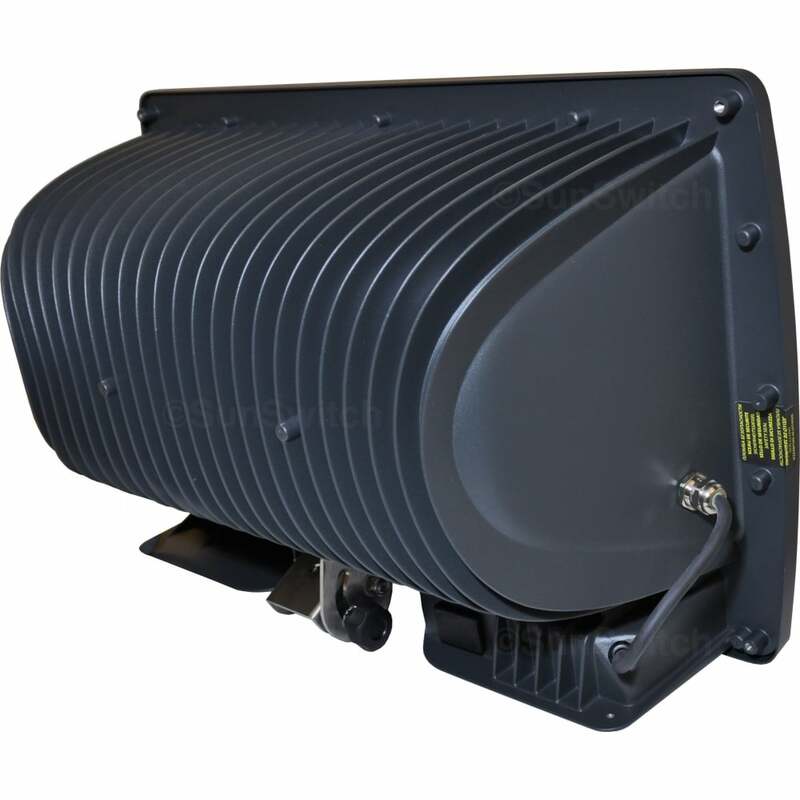 The heavy-duty cast aluminium enclosure is designed to convect away surplus heat for maximum reliability. 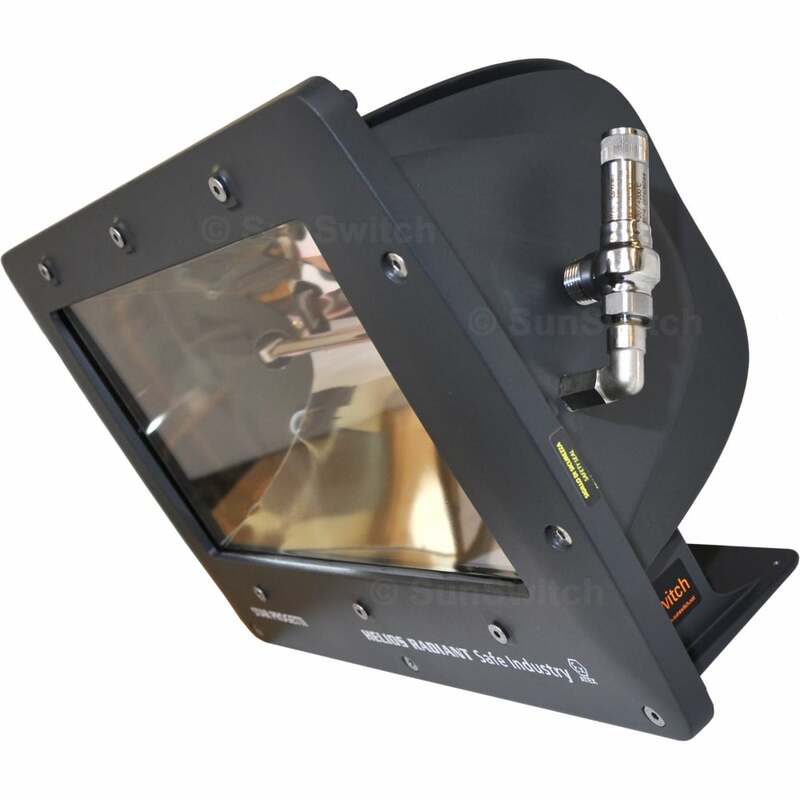 Features a high-emissivity ROBAX glass front and a substantial tilt and swivel mounting bracket. 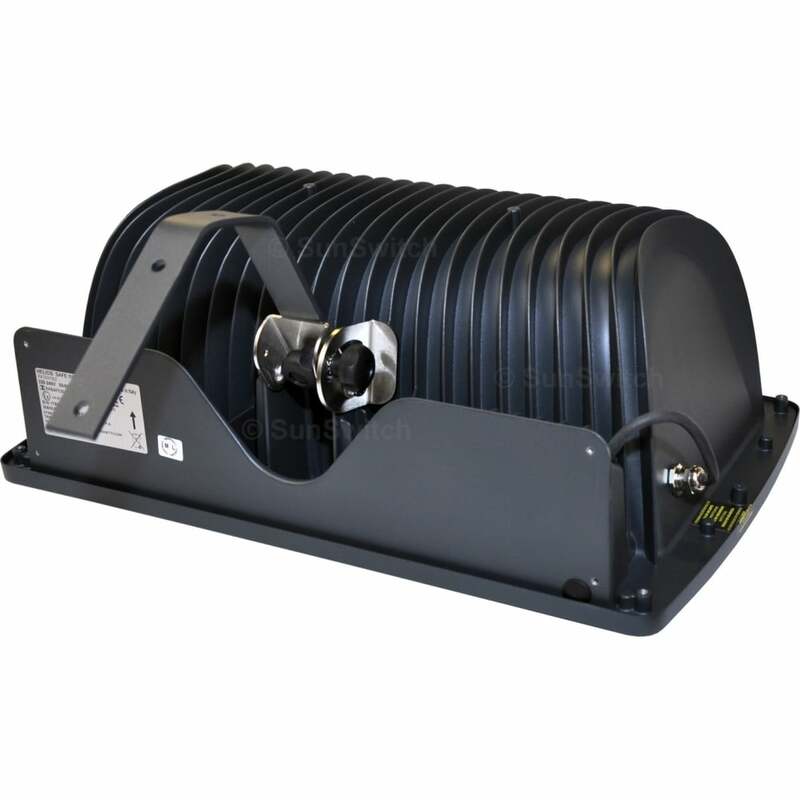 Four M6 threaded suspension points are included to enable the heater to be suspended from chains. Typical heated area is 20m2. 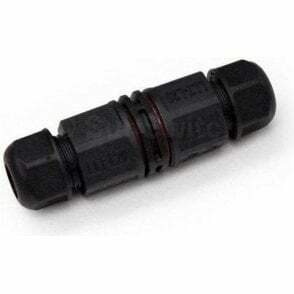 Electrical supply: 220-240Vac single phase. 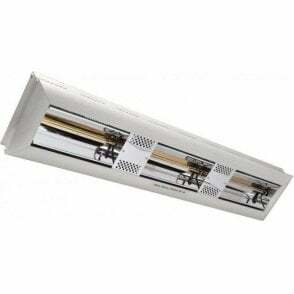 Power consumption: 2.0kW (1.5kW to order). Enclosure: Cast aluminium chassis, powder coated. 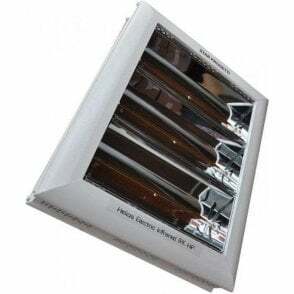 Optical grade aluminium reflector. Dimensions: 47.5 x 23 x 20cm (whd). 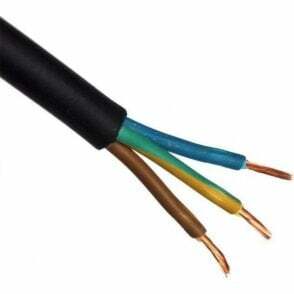 Cable: 1.5m silicon insulator heat resistant to 180°C. 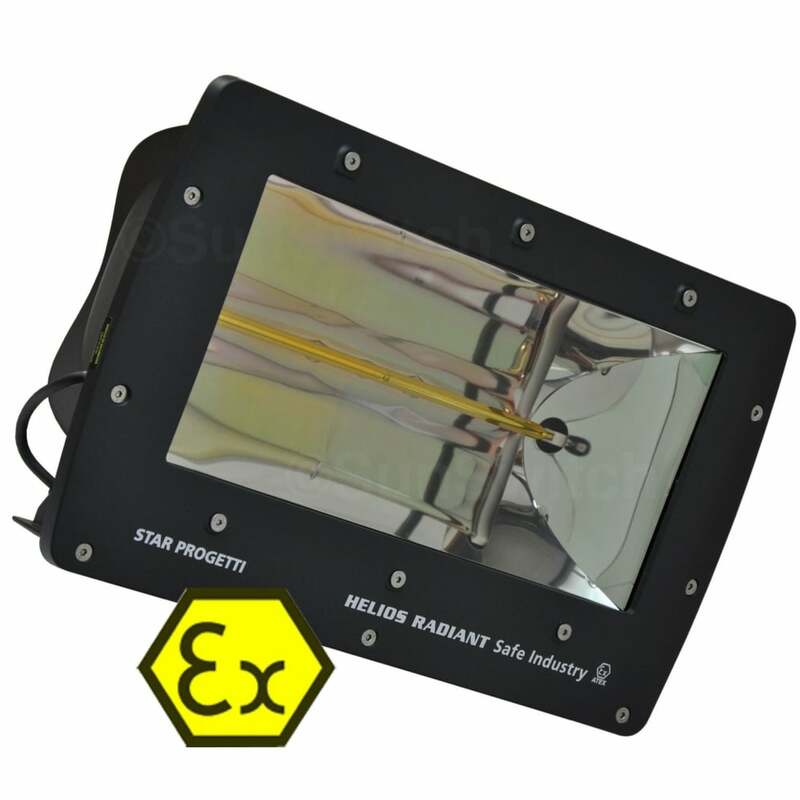 High emissivity Robax® front panel.